Our summer residency at the newest, freshest and coolest club around Mute in San Gwann, Aria Complex. Dub Yard will be a series of fortnightly Saturday night sessions full of Roots Reggae, Dub & Steppa. Radikal Guru will be our guest to open this series. Prepare dem skankin shoes. Opening night of the Dub Yard series – a fortnightly roots & dub session at the freshest venue this summer MuteMalta. 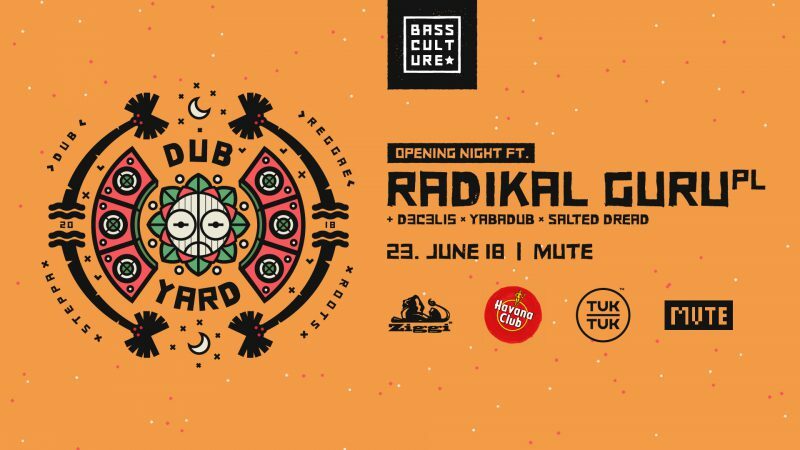 We’ll be hosting the mighty Radikal Guru to kick off the season in the best way possible. One of the brightest lights of the roots-influenced underground community for the past half-decade, Poland born Mateusz Miller has pioneered a compelling and unique fusion of sounds that encompass dub, reggae and dubstep under his Radikal Guru moniker. Inspired by an appreciation of sound system culture, his music has become synonymous with suffocating degrees of dread bass weight, vibrant and eclectic palettes of tone, and varying energy levels that cater for both dance floor focused ruckus and for more meditative listening. Heavily influenced by the likes of King Tubby and Scientist, Matt first gained worldwide acclaim and recognition through a string of killer vinyl releases on leading reggae/dubstep imprint Dubbed Out, before forming a creative partnership with fellow label Moonshine Recordings where he has gone on to cement his reputation as one of the strongest proponents of the scene.